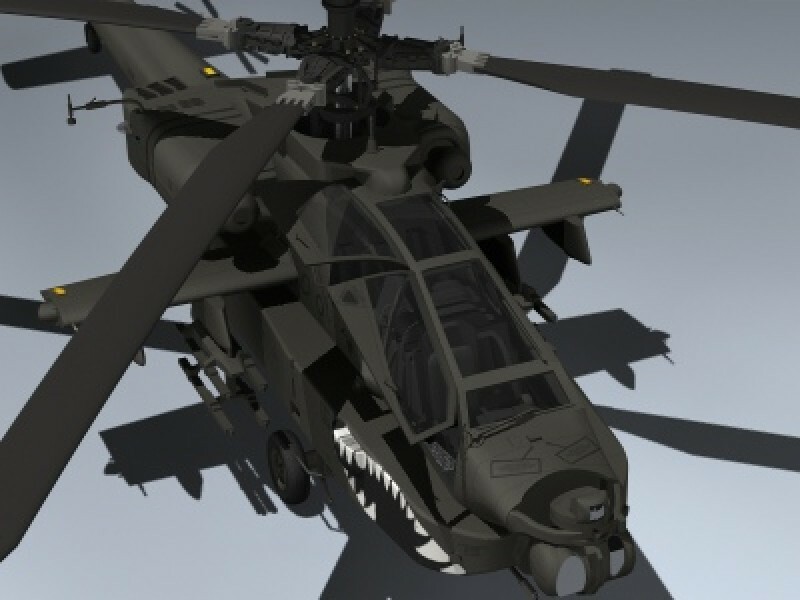 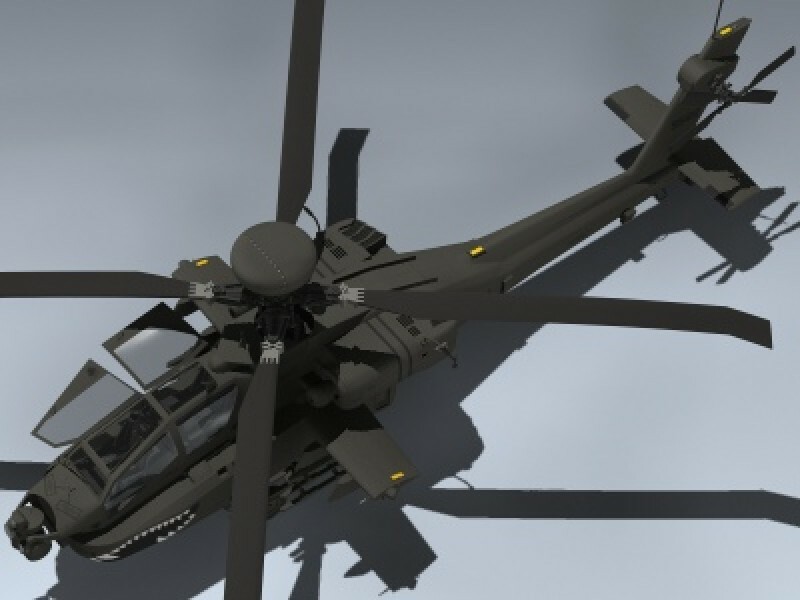 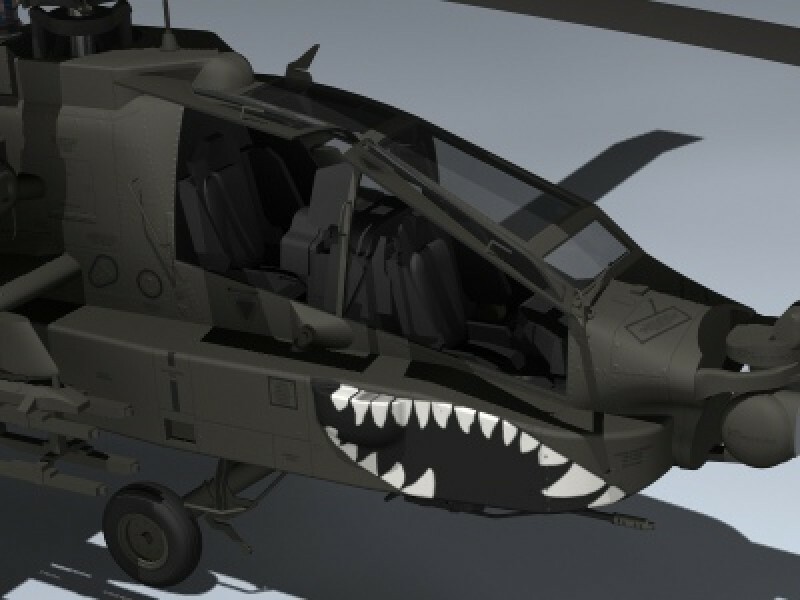 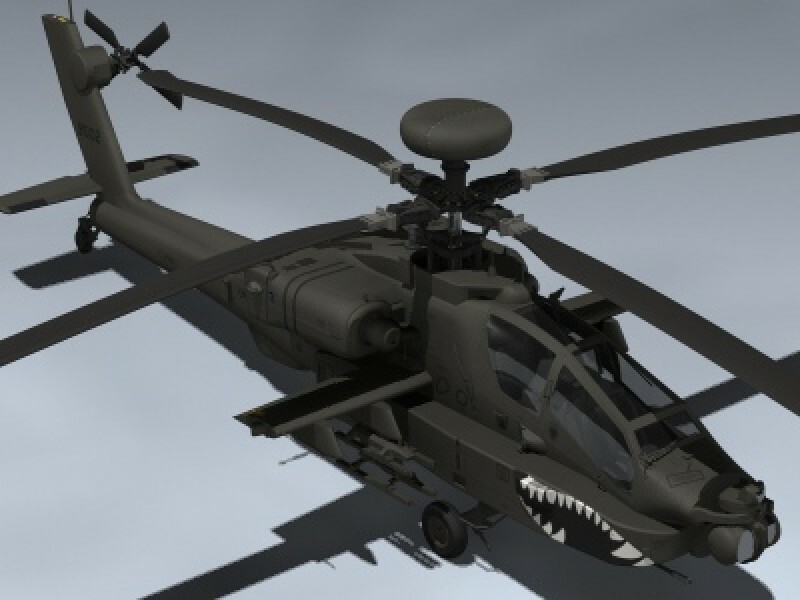 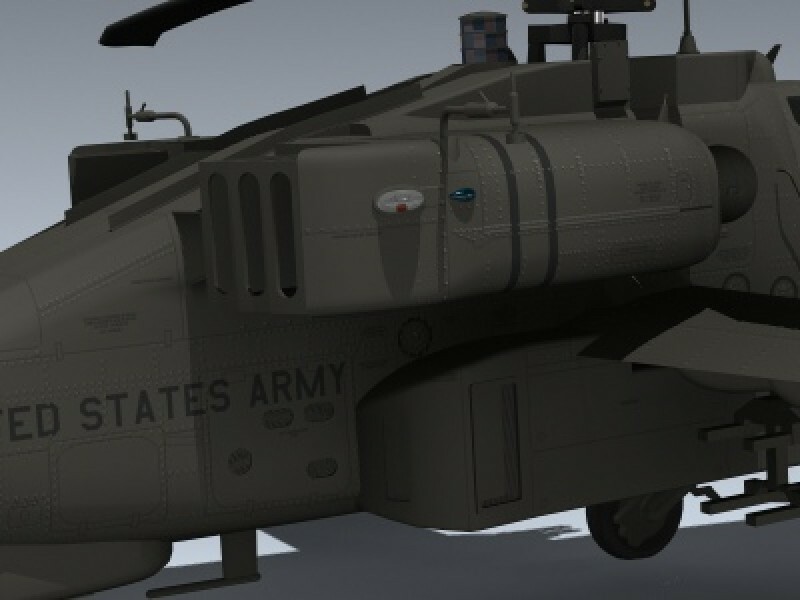 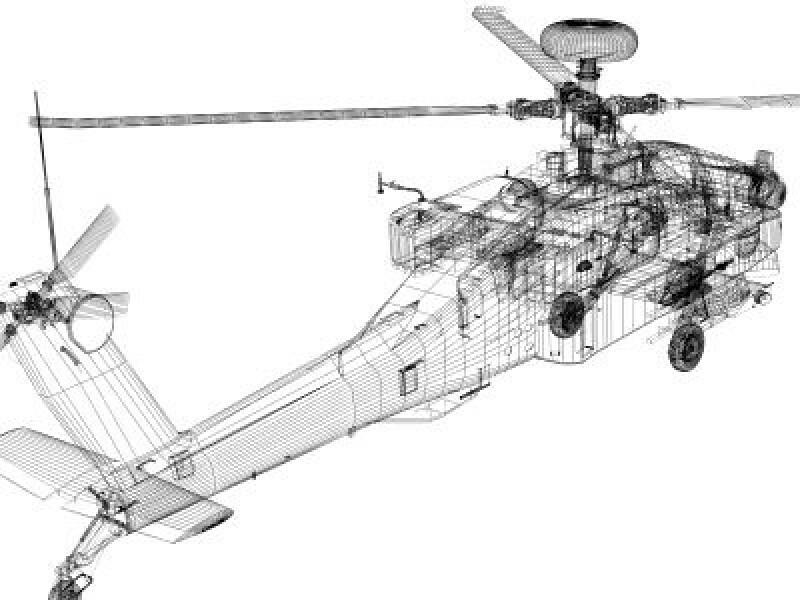 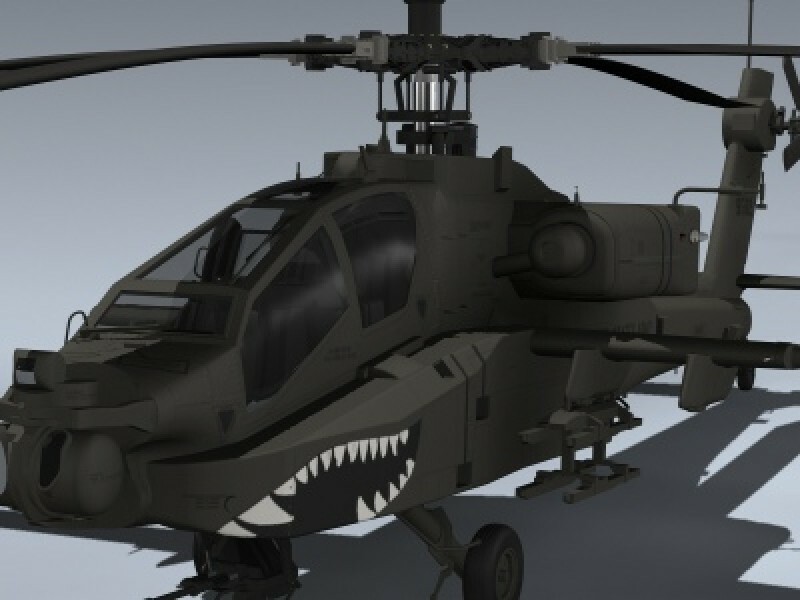 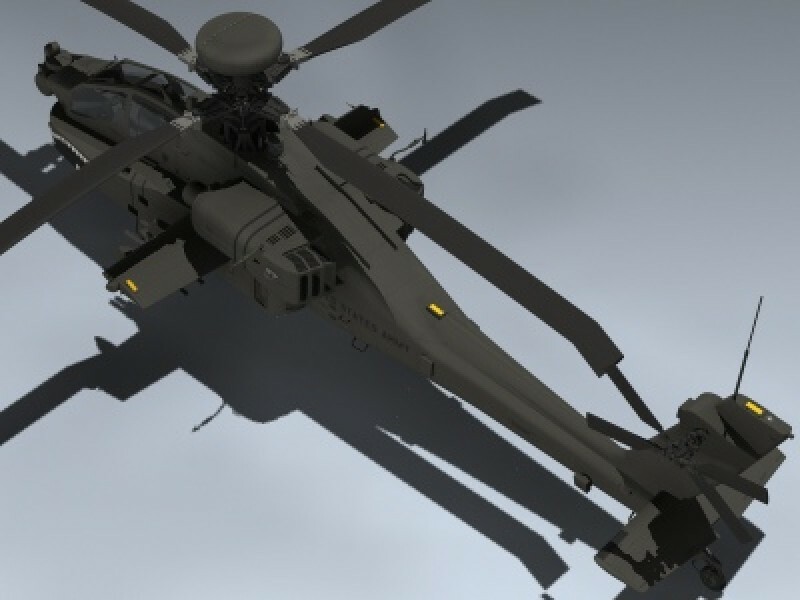 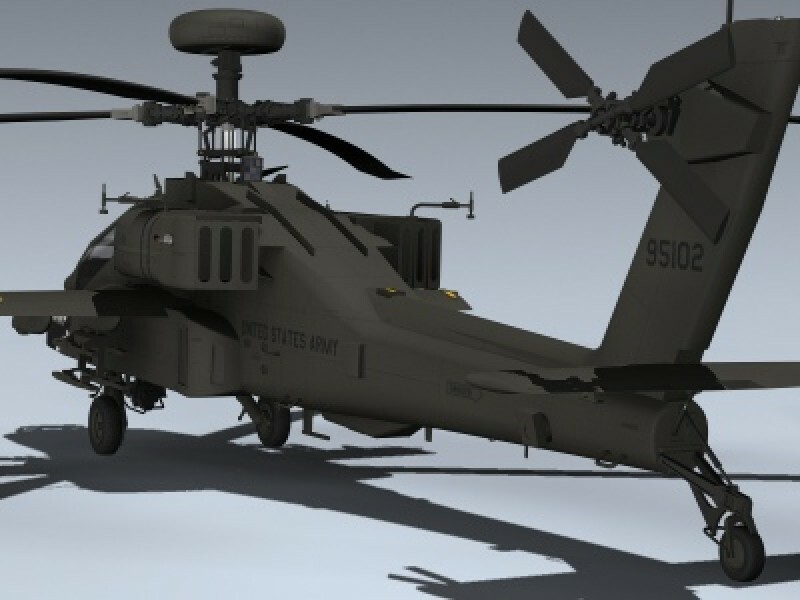 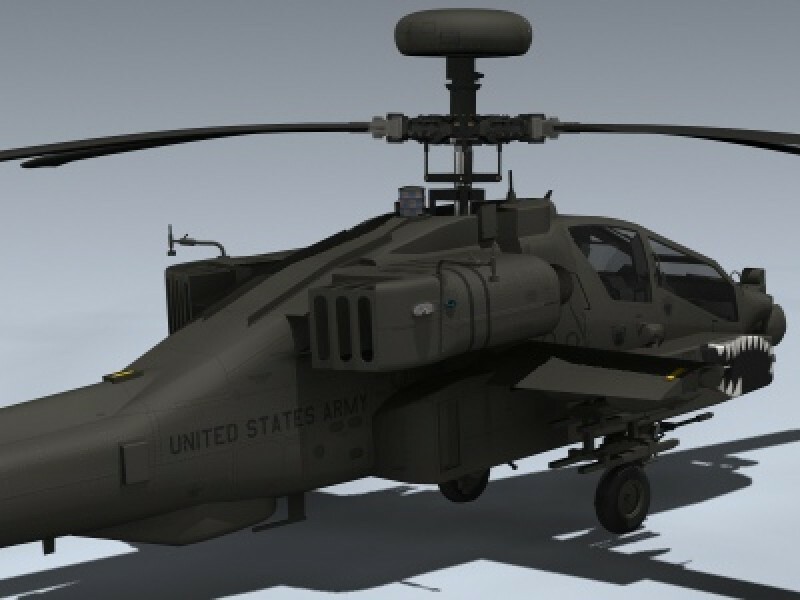 Extremely detailed US Army Apache Longbow. 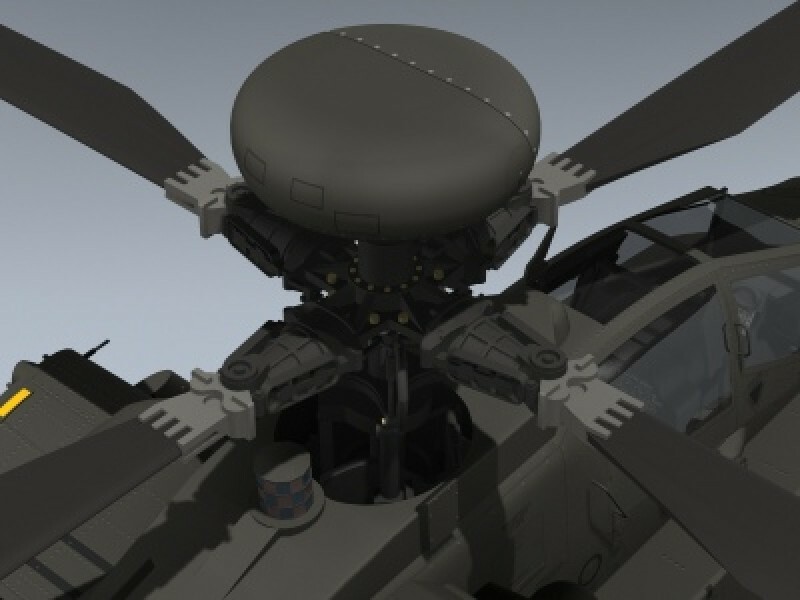 Doors, tail, TADS turret, gun, wipers, wheels and rotors are all separate objects for animating. 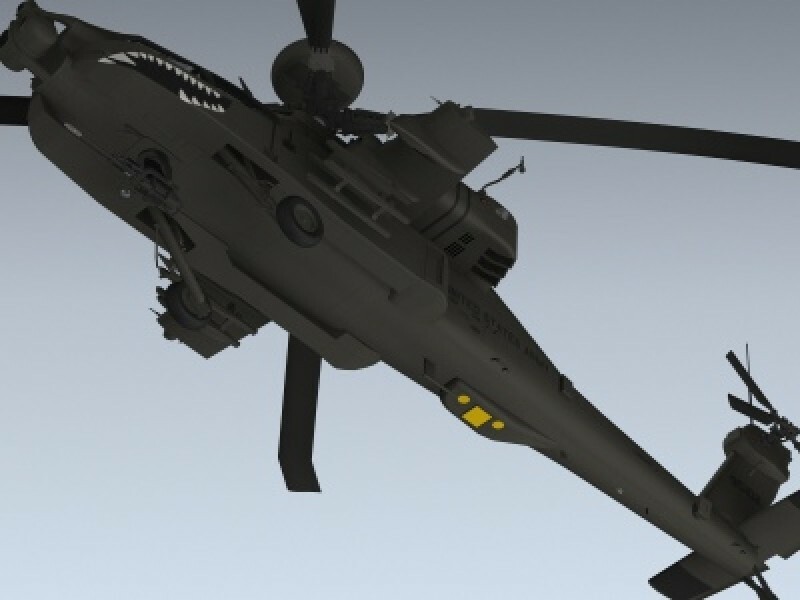 Rotor blades are provided with added geometry to allow for realistic sagging when stopped.